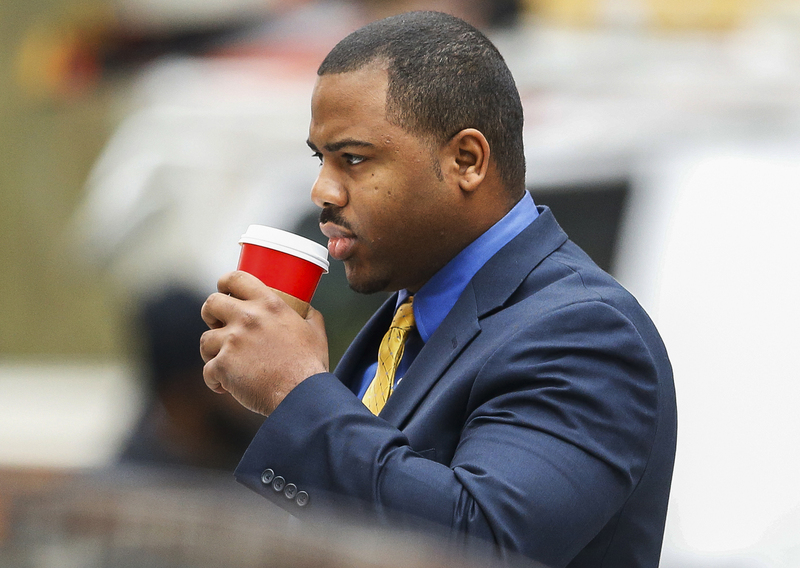 A jury was seated in Baltimore for the trial of Officer William Porter on Wednesday, the first of six city police officers charged with the death of 25-year-old Freddie Gray. Porter is charged with involuntary manslaughter and has pleaded not guilty. The four alternates are men. The jury selection took place in an open court, the field eventually winnowed down from 47 prospective jurors. The pool included approximately 20 women. The racial makeup of the jury pool aligned closely with the city's demographics, with 20 white jurors and 27 black. Both sides struck out several possibilities during the selection process. The state's first "strike" was a young, white male. The defense's first strikes were two young black males and one young black female. The last juror seated was a young, white male. Oral arguments are expected to begin Wednesday.